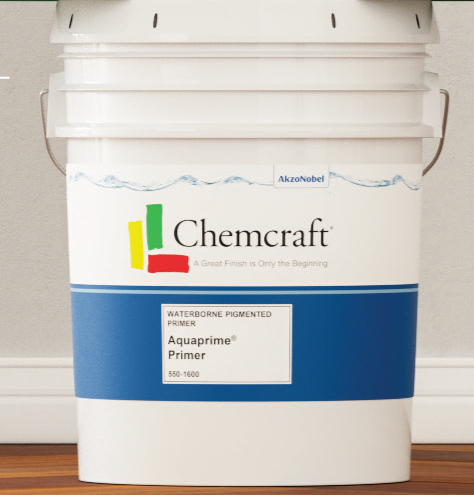 Chemcraft says its Aquaprime Waterborne Pigmented Primer has very high solids and high build, while offering excellent sandability along with high hide and filling capabilities. A universal primer, it can be used under all Chemcraft waterborne and solventborne topcoats, and provides a good basecoat on hardwoods, softwoods and MDF. About Chemcraft, AkzoNobel Coatings Inc.